Meet Fashion & Skincare Bloggers Ania & Lauren | Oh K! Meet Ania & Lauren - our favourite make-up and lifestyle guru's who you need to be following on the gram! Filling up our feeds with their beauty must-haves and style inspiration - we had a quick chat about their beauty rituals and skincare essentials. During our launch of Oh K! online, we had a super fun day working with these girls, shooting some of their favourite face masks for our launch campaign and having an essential post-winter pamper session, exclusively here at Oh K! HQ. Behind the scenes, we wanted to know more, including how they achieve the appearance of healthy skin and maintaining that natural glow along with their busy lifestyle. What is your number one rule to looking after your skin? L: Cleansing every morning and evening! A: Drinking LOADS of water and moisturizing the skin. Especially when the skin is oily, moisturising is the key. A lot of girls try to dry out the skin when they see the oiliness, but the most important thing is to give that additional moisture to the face so that the skin doesn’t have to produce the excess of the sebum. A: I have an oily skin. What skin routine can't you live without? A: Everyday, in the evening, before I go to bed, I mix a little bit of my moisturizer with a tea tree oil. The oil can fight acne and other skin conditions. I mix it with the moisturizer because it can be a little bit drying, but it works magic on the unexpected pimples. L: My cleanser! I don’t really moisturise (I know, I’m a bad person!) so I use an oil cleanser which makes my skin super soft and dewy. I have oily skin anyway, but somehow the oil cleanser works super well! What Oh K! 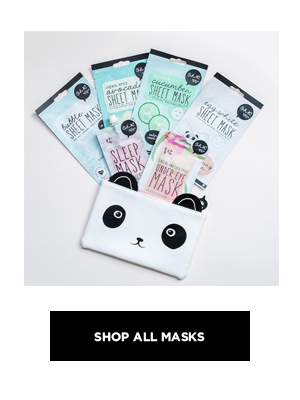 mask are you loving right now!? L: The Oh K! Egg White Sheet Mask for definite! A: I really like all of the Hydrogel Masks, but my favorite is the Caviar one. The ingredients such as charcoal powder helps detoxify which is what I love! Needing to achieve some glow this summer? Make sure you're following Ania & Lauren over on Instagram for the ultimate beauty and fashion inspiration.